When Kathy and I decided that now was the time for us to seek the endorsement of Multiple District 5 in order for me to run for International Director, many things started happening. People got involved in helping us put together a campaign and we became the focus of attention–at least for the moment. 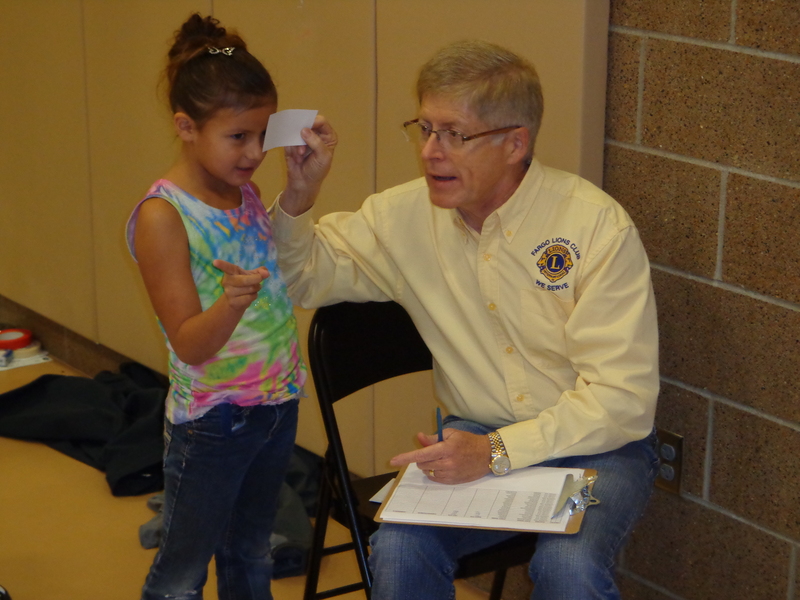 In the midst of all the activity, it was a welcomed relief when I took time to shift the focus away from me and joined with my fellow Fargo Lions Club members in a vision screening service project at a local elementary school in Fargo. We spent the morning at Jefferson Elementary where we helped the nurse and other school officials to screen hundreds of children. Making personal contact with the children from different cultural backgrounds was meaningful to me. As I said “good morning,” and asked them about how things were going for them, their smiles and responses were heartwarming. They trusted me and when the screening was done and they went on their way with a look of completion on their faces, I felt like I had made a difference . . . particularly for those whose vision was not 20/20. Making a difference in childrens’ lives is one of the main reason why I hope to be elected to the International Board of Directors. I will be a tireless advocate for youth around the world. Helping children is a special joy. It was good for us all to be together, in service. Thanks!